It’s a chilly Thursday evening and Feige and I are in an almost bare building in Suninghill, Johannesburg. It resembles a mix between an abandoned car workshop and undercover gym. We’re not lost, trying out the latest fitness fad, or trying to shape our bodies for summer. We’re learning skills we pray we never have to use, but should we need to, can save our lives. We’re at one of the Elite Defence Academy’s Krav Maga classes; and founder Des Brown is explaining the difference between self-defence, attack, control, and how relaxation is more powerful than strength. Krav Maga is an Israeli-originated self-defence and hand-to-hand combat system. It was originally designed for civilians and soldiers during the 1930s, when the first Jewish refugees from Europe arrived in what is now the State of Israel and began to form settlements and towns. Among the refugees were men who were skilled in boxing, Jujitsu, and stick fighting. Over the course of almost two decades, they formulated a system of practical fighting that was later adopted into the Israeli Defense Force. In the late 1950s, civilian clubs began to appear, and Krav Maga attained an identity of its own as a martial arts and combative system, and is now recognized and taught across almost every country worldwide. It has also evolved from its simplistic roots, and is widely regarded as being one of the most powerful and practical self defence systems in the world today. As the largest Krav Maga training organisation in South Africa, Elite Defence Academy has trained thousands of South Africans to protect themselves and their families. Des shares stories of a student who took on 3 men armed with guns in her home, and disarmed them saving herself and her 14-year-old daughter. Another student was attacked by a burglar with a knife and managed to disarm him, saving both himself and his family. But Des says it’s the stories of students who have seen, anticipated, and prevented a crisis from happening that are Elite Defence Academy’s true success stories. Des doesn’t like the word self defence, and states that it’s not what they teach. He explains that being in a “defensive” mindset means that you are reacting to a potential situation, instead of mastering it and directing the outcome. When they talk about “attacking” they refer to a mindset that enables us to attack a criminal’s ability to attack us. This says Des “is vastly different to simply trying to “defend” and cope by being reactive”. He continues “An army does not win a battle by being ‘defensive’ – it wins by attacking intelligently and decisively to cut down or overwhelm an opposing force… and this is what we teach”. At some point during the class, Des gets Feige to come up to the front of the room and demonstrates the power of presence. In 5 seconds Des shows how it’s not just about physical moves, the way you look at someone and your body language can scream a message that a perpetrator has started with the wrong person. After he finishes talking, the whole class is paired up. Each team of two gets a silver blade and with our partner, we act out attack and defence, learning how to move to protect ourselves and get out of danger. It’s an intense two-hour class, which is part of their weekly group training classes in which they teach various Krav Maga techniques from disarming knives and guns to being able to predict moves before they happen. Thanks to some very patient instructors – Mike Fat and Adrian Brown, two petite women who did not grow up fighting, learn to tackle. On the way home, Feige tells me how uncomfortable parts of the class made her feel, specifically when Des went into detail of situations where Krav Maga may come in handy. “You know it can happen, but you never want to think it can happen to you. There’s something uncomfortable and frightening about thinking about it and choosing to arm yourself with techniques to help you get out of the unthinkable.” she says. A few nights later, at another class one of the regulars comes over to share some tips with Feige and I – the very clear newbies of the group. We’ve just met and he’s demonstrating some tackles and sharing tips on how we can perfect our techniques. Halfway through his demonstration of dodging a knife, I feel uneasy. Acting out the moves with Feige was one thing – afraid to hurt each other we move slowly, laughing as we dodge blows. With a male, much larger than me, the techniques we’re learning become real. His arms grip mine tighter and his moves are rougher. I notice that I too fight back harder. Part of me wants to stop, part of me thinks I need to continue – learning these skills can be lifesaving. During our weeks of training at the Elite Defence Academy with Mike Fat and Adrian Brown, we learn many techniques. Two specifically leave a mark on me. The first valuable lesson I learnt is that sometimes relaxation is more powerful than strength. Relaxation is a core concept of Krav Maga, but as Des explained to me, it does not mean becoming limp, but rather refers to a state of flow and whole-body movement which amplifies power and speed. “In the same way you can’t throw a stone very far if you’re stiff and tense – you need to relax, coil your body, and release the stone in a smooth “whipping” motion. A smaller person can vastly amplify striking power, or the ability to manipulate a larger opponent, by applying this principle of relaxation and making it a habit. Under stress, we tend to stiffen up and freeze. By practicing deliberate relaxation as an automatic response, we enable ourselves to dissipate adrenaline in a crisis, to move quickly and decisively, and to get rid of fear by replacing it with purpose and action. On a deeper philosophical level, of course, rigidity and stiffness is a state of death, while pliability and flow are states of life. By breathing consciously, using the entire body, and moving in a “non-tense” manner, we learn how to overcome shock or fright, and to respond with power and focus even under stress or in a high-speed dangerous situation”. A practical application of the relaxation technique was taught when Adrian demonstrated how to allow yourself to fall which required no strength, just allowing your body to fall forward. When I did this, Adrian (who is quite a bit larger than I) who was gripping me, fell too – instinctively putting out his hands to catch himself and in doing so released the knife he was holding. That small timeframe of not being held and him not having a weapon is big enough to get away. The second most valuable lesson I took out of my time at Elite Defence Academy was learning how to use my “smallness” to my advantage. As someone with a small build I don’t have the power that comes with size. Hitting someone double or triple my size will likely achieve nothing, they may not even feel it. But what my tiny frame offers is boney bits. My shoulders, elbows, hips and knuckles all jut out creating sharp edges. They’re my own weapons which I carry with me all the time. I learned how to jab and move them in such a way to make someone larger and stronger recoil in pain. Learning how I can protect myself, no matter how small or “weak” I may appear, gave me a huge bout of self-confidence, which is one of the most valuable things one can learn. Long before our final class, it became clear that Krav Maga is more than just learning about good self-defence. Part of what Krav Maga and Elite Defence Academy teaches has to do with awareness and avoidance or as Des describes it ‘learning to spot trouble and avoiding it all together’. At Elite Defence Academy you gain self-confidence, learn how to control fear and learn to respond intelligently in a crisis where most people tend to freeze up or behave irrationally. Des believes it also leads to enhanced physical and mental strength, fitness, and better health. Krav Maga is also not about size or being tough. A common stereotype, Des says is reinforced “by the numerous ‘tough guys’ out there who try to convince people that their particular brand of self-defence is the best, based on rippling muscles, camouflage pants, and grimacing faces.” He says this can be off-putting to people and is not a true representation of what intelligent self-defence is meant to be. “The whole point of learning Krav Maga is to learn a set of skills that are practical and which work – regardless of your supposed toughness or strength. 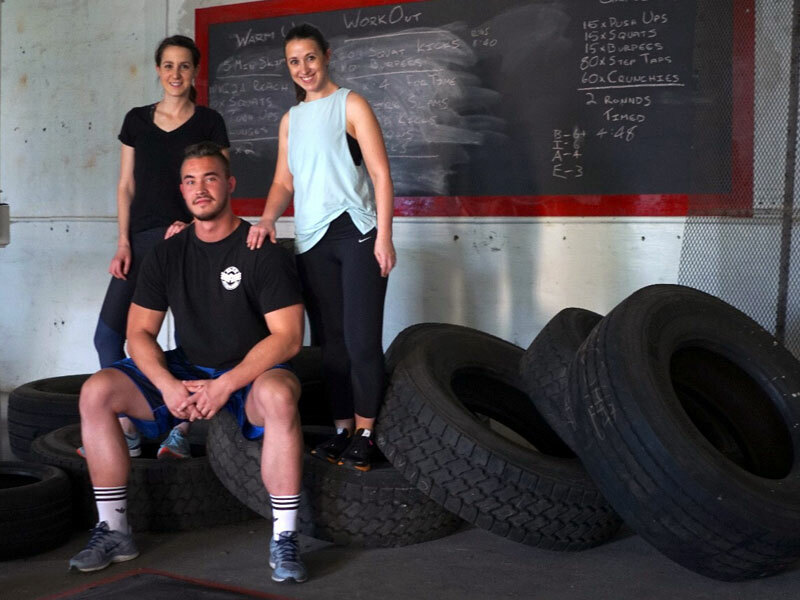 Our approach, and our audience, is different – we believe in an intelligent approach backed by science and a solid track record, available to men and women of all ages, and which can be learned by anyone willing to invest some time and effort to do so”. To bring some of the essence of what we learned at Krav Maga to life, we asked Adrian to give us a visual crash course in the 5 best self-defence moves. The moves he showed us, which can be viewed below, are simple manoeuvres meant to protect you against the most common attacks. Watch, learn and find a friend to practise with. A special thanks to the Elite Defence Academy for assisting us with this article. Elite Defence Academy is South Africa’s largest Krav Maga training organization, with 24 clubs in different locations, and more than 36 certified Krav Maga instructors. It teaches a system of Krav Maga that can be learned and used by anyone, regardless of size, strength, or physical condition. The system taught by Elite Defence Academy uses the science of biomechanics, levers, and intelligent use of the body and mind to enable even a smaller defender to successfully overcome a larger attacker. Through the constant growth of their clubs and instructors, Elite Defence Academy aims to make the valuable skills of Krav Maga available to everyone. In addition to their long courses, they also offer short courses, corporate seminars, group events, and particularly women’s defence workshops, across the country. Elite Defence Academy has just launched a new online Krav Maga learning system, where anyone with access to the internet will be able to learn powerful key skills at their own pace, wherever they are. Their mainstream Krav Maga classes are intended for teens and adults, from the age of approximately 14 upward. Many of the techniques are potentially dangerous if used without restraint, and so they exercise caution in terms of age and suitability. Their Kids Academy teaches safe and age-appropriate self defence to children from the ages of 5 to around 11. These classes not only teach physical techniques, but also responses to verbal bullying, and a host of life skills such as conflict resolution, personal growth, emotional wellness, and leadership.